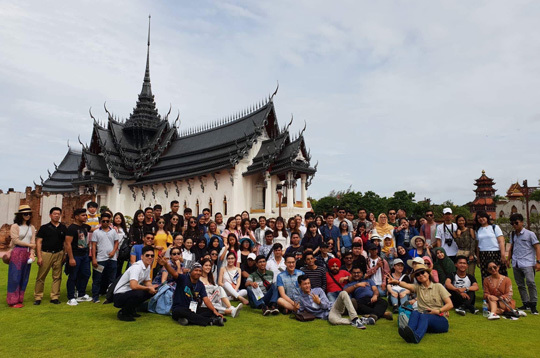 Ten future hoteliers from Vatel Manila joined over 100 students from 11 other Vatel schools in Asia in a 12-day cross-cultural summer exchange program in Bangkok, Thailand. 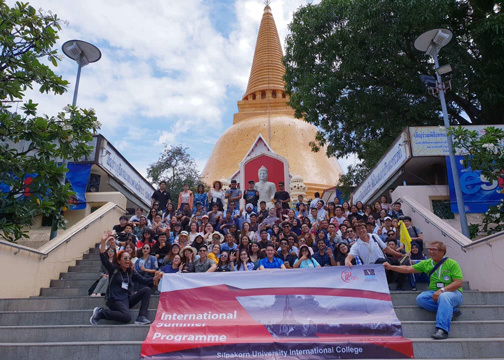 Over 100 students from Vatel schools in Asia gathered in Bangkok for a 12-day cross-cultural summer exchange program. Vatel is a worldwide network of hospitality and management institution with 43 schools around the world and an enrollment of approximately 7,000 students. Its alumni of 35,000 strong occupy management and leadership positions in hotels and restaurants globally. For years, the revered institution has an existing partnership with the De La Salle-College of Saint Benilde to jointly offer Double Bachelors and Master Degree programs. With this collaboration, the college’s culinary and hospitality departments are now known as Vatel Manila. The Philippine delegation was composed of International Hospitality Management students Carl Jerald Castillejos, Maxine Louise Dawis, Emerson Forte, Luzanne Jee Libarnes, Xueyao Liu, Alyssa Gabrielle Manlangit, Kyle Brent Quintos, Jessika Isabelle Tiu, Anna Danielle Vicente, and Tazia Kate Villanueva. Other participants included those from Bhutan, Cambodia, China, India, Indonesia, Japan, Malaysia, Mongolia, Myanmar, Nepal, and Vietnam. Assistant professor Dr. Sompid Kattiyapikul, Dean of Silpakorn University International College, guided the participants through an interesting array of activities such as tours around the city’s hotspots like the central province of Nakornpathom, the eco-cultural Sampran Riverside, and the landscaped gardens of the Ancient City. The attendees likewise immersed themselves in learning how to cook signature Thai dishes. They also experienced some local tradition and culture. “The summer exchange program has been a great opportunity for young students to be exposed to the world’s diversity,” said Alyssa Manlangit, a Vatel Manila student.